3... 2... 1... 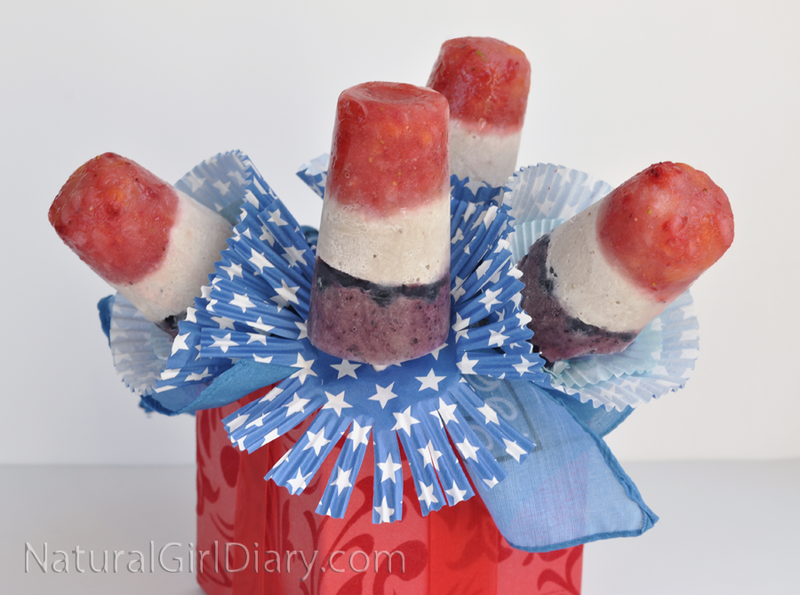 Blast Off with Patriotic Popsicles! 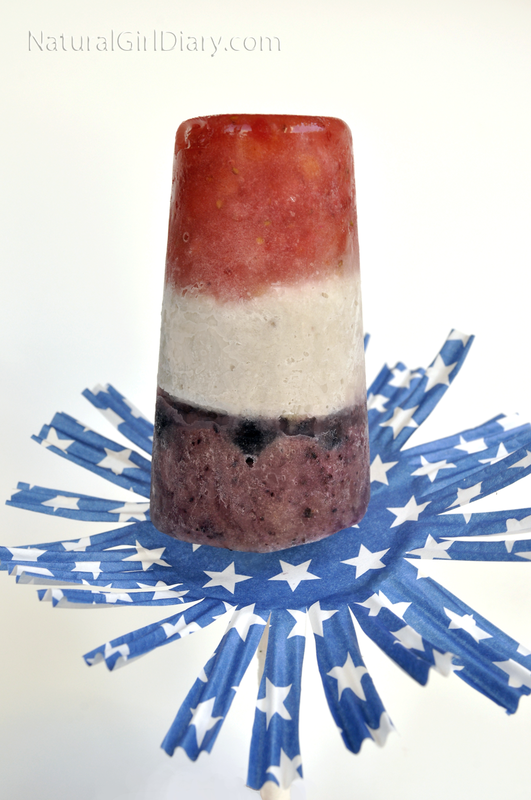 A multi-flavored, nutritious frozen treat you'll be proud to serve your kids. Puree 1 & 1/2 cups strawberries (green tops removed) and pour into first 1/3 of popsicle moulds. Cover and freeze for about an hour. Add blueberry yogurt, cover and freeze another hour or overnight. 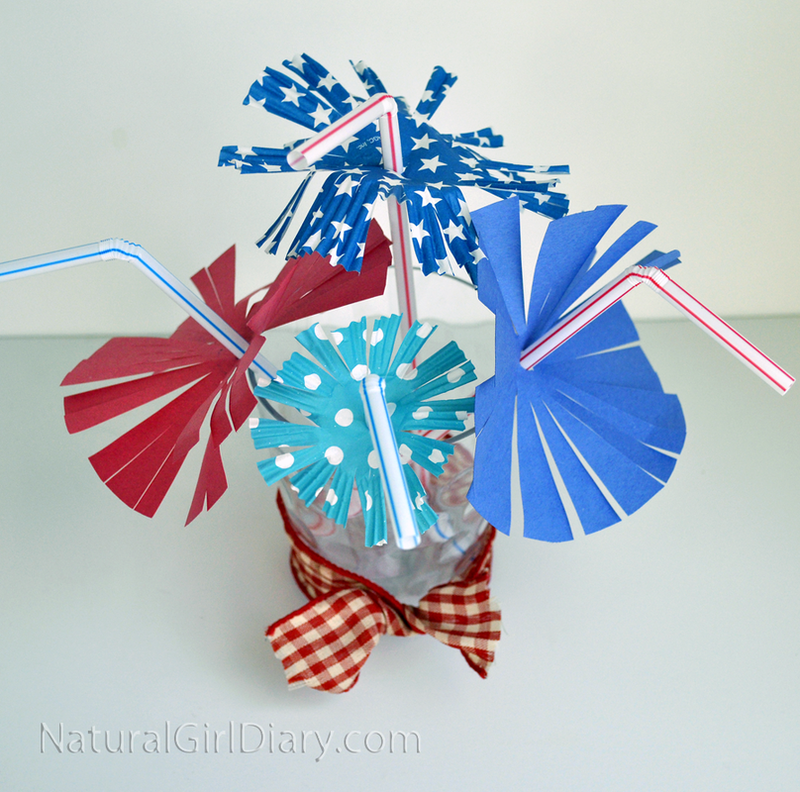 Pop the frozen treats out of moulds, add a festive "fireworks" drip-guard & serve! 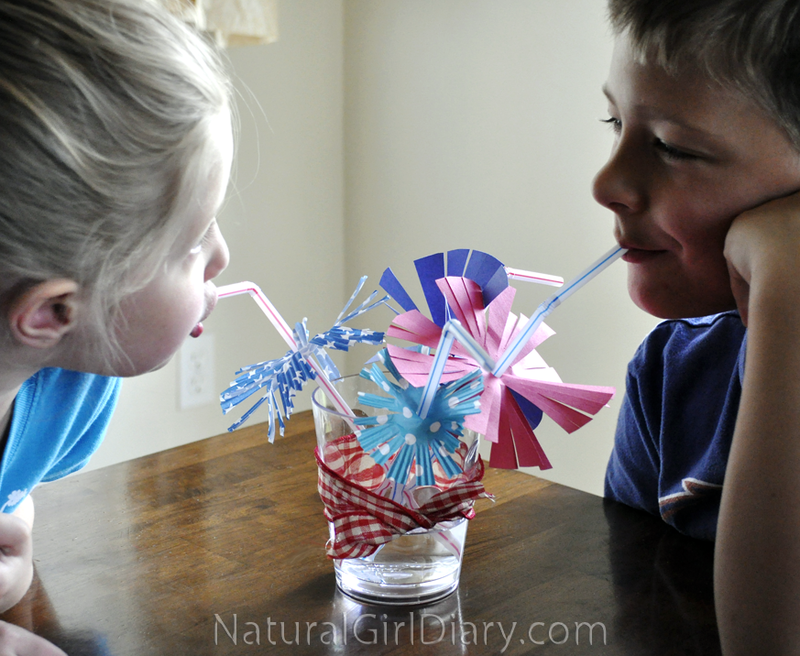 When you open the cirle, you should have a small diamond shape. Insert stick so center circle outline (if you made one) faces down.